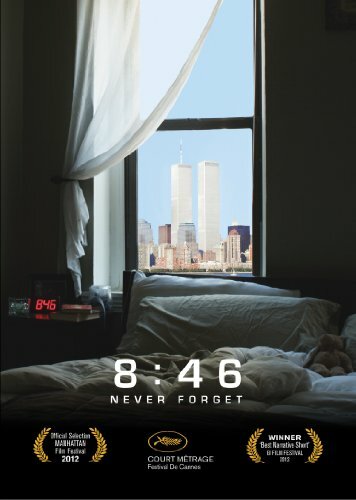 NSince the tragic events of September 11, 2001, many documentaries and feature films have attempted to capture the meaning of that awful day, but none has taken an intimate approach to match that of 8:46 , the writing and directing debut of actress Jennifer Gargano. The dramatic film, which has moved audiences at film festivals and wherever it has been shown, arrives on DVD from Virgil Films on September 4, 2012, with an SRP of $14.99. In 8:46 (named for the time the first hijacked plane slammed into the north tower of the World Trade Center on that clear and sunny late-summer day), Jennifer Gargano (The Sopranos) follows the lives of an ensemble of diverse characters living in New York, New Jersey and the vicinity. Beginning on September 10, the movie reveals lives both ordinary and extraordinary - people falling in or out of love, facing heartache or basking in success, coping with illness or looking toward a bright future. We get to know each of these characters as though they were our own family, friends or colleagues, and then we see what fate holds in store for them on the following day, when nearly 3,000 innocent people would be killed. Seamlessly blending actual news footage from 9/11 into these fictional stories, director Gargano creates an unforgettable tableau of the day that changed the world forever. The movie goes behind the images of fire, smoke and devastation to concentrate on the individual lives affected, people with their own unique and valuable story. The cast, made up largely of remarkable newcomers, includes Shelley Shenoy, Mike DiGiacinto, Elizabeth Eggers, Roland Sands, Taryn DeVito, Laurie Dawn, Todd Lewis, Jason Altman and Gargano herself. 8:46 was an official selection at many festivals, including the Manhattan Film Festival, the New York City International Film Festival, the Hoboken International Film Festival and the GI Film Festival, where it won the 2012 prize for Best Narrative Short. It was also screened at the Cannes Film Festival's short film showcase, Court Metrage. A portion of the proceeds from sales of the 8:46 DVD will go to Tuesday's Children. Tuesday's Children, a nonprofit family service organization, serves all those directly impacted by the events of September 11, 2001 - children, families, emergency responders - through life-changing programs and services. It also helps those who have been impacted by terrorist incidents worldwide. Since 2001, Tuesday's Children has promoted healing and recovery by strengthening family resilience, providing individual coping and life management skills, and creating community through programs, mental health support and family engagement opportunities.